This renovation transformed a declining 1950’s strip mall into an attractive, beautifully landscaped community market place. Neighborhood associations, involved in the planning, strongly influenced the design. Environmentally sustainable features include energy savings measures, toxic use reduction and a system that collects, cleans and stores parking-lot drainage to irrigate the landscaping. American Institute of Architecture Paper: The Porter Square Project (PDF) described in the attached report by Cole et al. 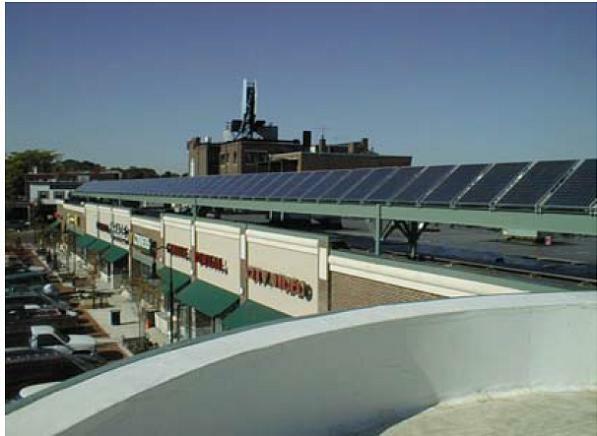 presented at AIA’s Mainstreaming Green Conference (Oct, 1999) and in an article in Shopping Center World (September, 1999).